Contemporary art talk. These weekly pod casts are just about the best thing a girl can ask to listen to during her 9-5 stint. They are a ray of sunshine straight from the heart of the good old Midwest. 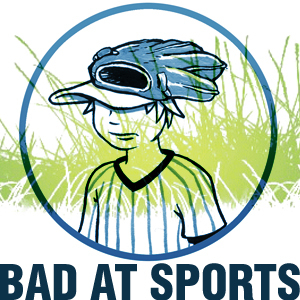 Thank you Bad at Sports! Not only is there a weekly podcast, there is a blog and an amazing archive. There is so much to listen to, but here are two of my favourites. This entry was posted in bad at sports on November 15, 2010 by kristindagostino.